Gold Baby charms, what are they? 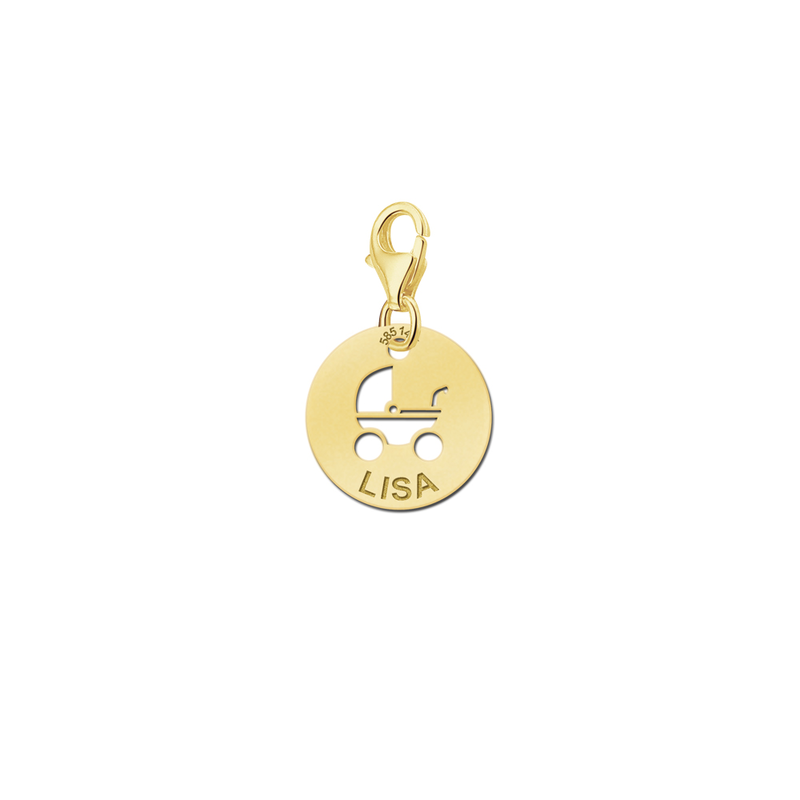 A gold baby charm is a special piece of jewellery that is traditionally worn on a charm bracelet or a necklace. Charm bracelets are created with several clasps or spaces where a number of different gold baby charms can be attached. The first gold baby charm will often be presented along with the charm bracelet, while the baby may receive new gold baby charms on special occasions such as their birthday, Christmas and new year. A gold baby charm can also be worn singly on a necklace. 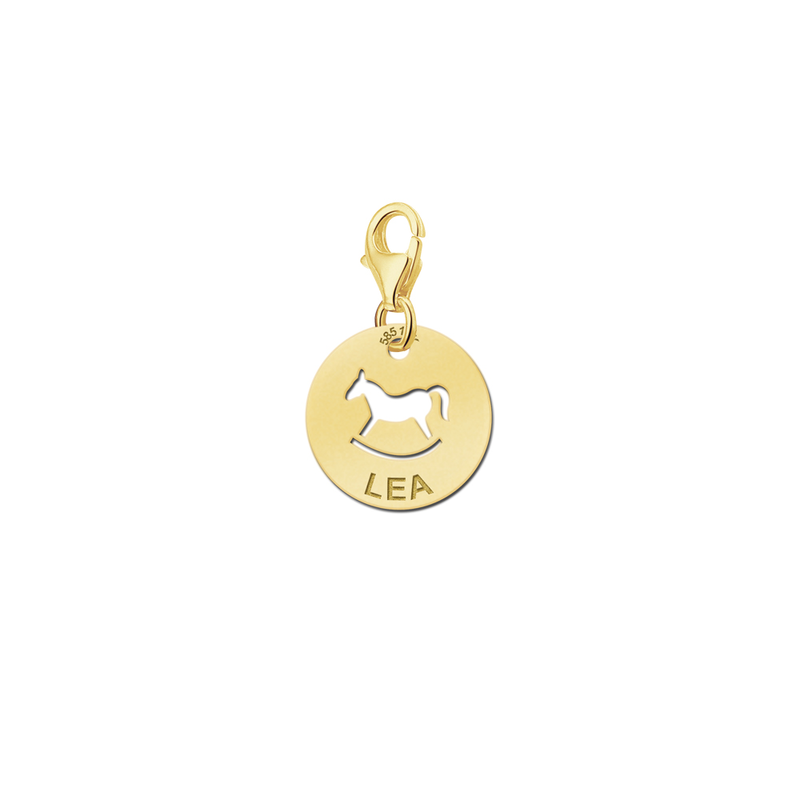 Our Gold baby charms are made from 14 karat gold. Gold baby charms date back several centuries and have been presented to babies from a number of different countries around the world including America, Australia, England and Ireland. Who Gives Gold Baby Charms? Charms for babies in gold are usually bought by a family member such as the parents or grandparents soon after the baby is born. However, baby shower charms can be presented by friends of the family during a baby shower that is held to welcome the new baby. During baby showers, many of the guests may decide to get together to choose different gold baby charms that can be added to the baby’s charm bracelet so that the bracelet is full of gold baby charms soon after the baby has been born. What are the Types of Gold Baby Charms? There is a wide range of different types of gold baby charms to choose from. Many of these gold baby charms represent an image of childhood such as a baby’s bottle, a rattle, a baby show or a teddy bear. The stork is an image that has been associated with babies for many years and many types of gold baby charms represent a stork delivering a newly born baby. A gold baby name charm is another popular type of gold baby charm that features the name of the baby in a certain font. This type of gold baby charm is usually created especially for the baby, which makes it particularly special. 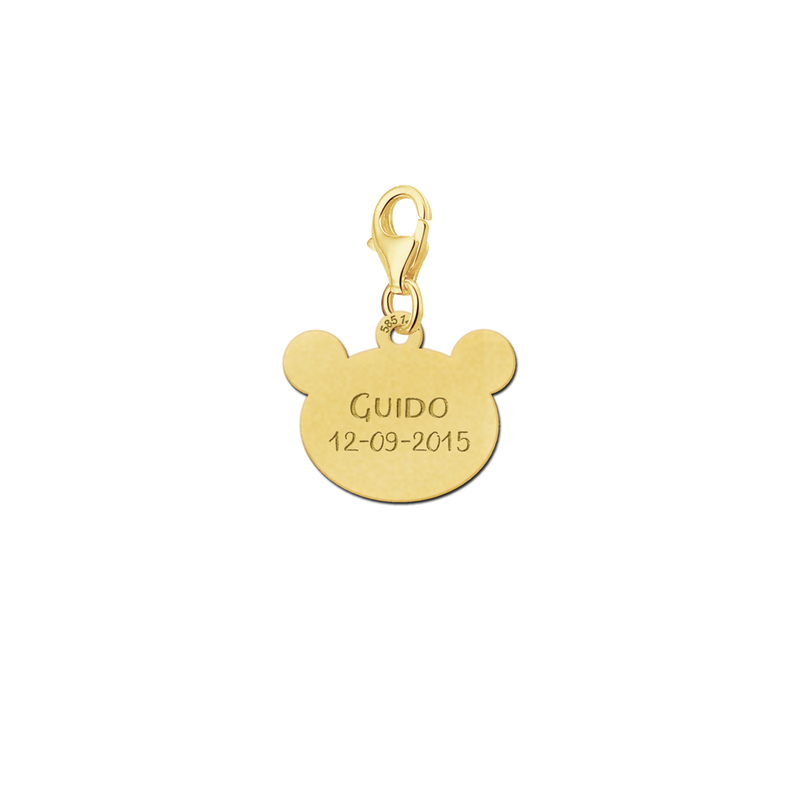 Gold baby charms and charm bracelets can also be presented to the child when they are christened or reach another important landmark in their life that their family wishes to commemorate. Are Gold Baby Charms Intended for Boys or Girls? Gold baby charms are created for both baby boys and baby girls. Traditionally, gold baby boy charms feature items that are associated with boys such as footballs and toy cars. Gold baby charms for boys may also bear the words baby boy in the centre with a special design created around them. In contrast, gold baby girl charms usually feature items that are associated with girls such as dolls and baby animals. 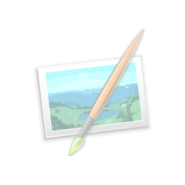 However, in many cases the parents may not know if they are having a boy or a girl in advance and may choose to play it safe by opting for a type of symbol that can be used for a boy or a girl such as a tiny shoe or a pram. 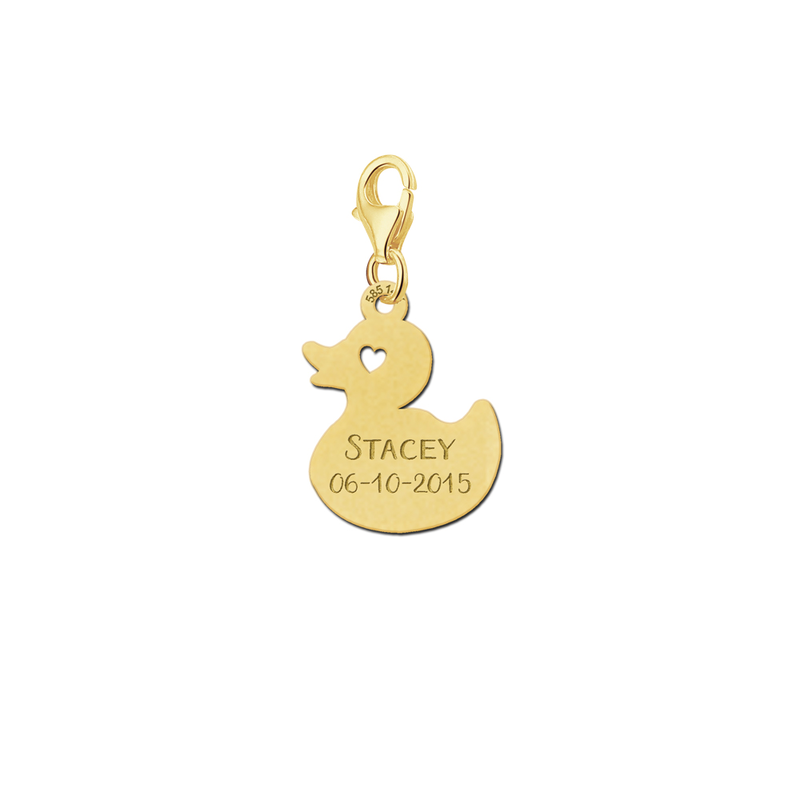 These days, many gold baby charms come complete with a blank space where the date of birth of the new baby can be added along with other personal details if desired. Gold baby charms can also be set with gems such as diamonds and sapphires and are often created in the shape of boys, girls or both. Silver baby charms are also available and can be worn or charm bracelets alongside gold baby charms to create a unique and very attractive effect.